Wonderful writing as always. My heart goes out to this family. They are experiencing now what we dread every moment of every day. She's the fourth death this month -- it's just so shocking and horrible. This is a beautiful post, Christy. We will miss her. 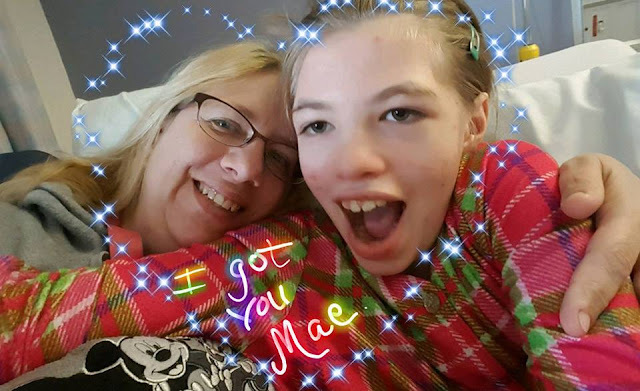 Thanks Christy for putting to words what many of us are feeling....Cyndimae is truly a bright star in our sky, and Susan is a star here on earth. I am always so amazed by the strength and kindness of our small tight community. Love to you all. Thank Heavens for you, Cyndimae. Your light is far and wide and transcends your time here with us. Your sword was a heavy one, sweet girl, but humbled and heartbroken, and with greatest reverence, we'll take it up and swash-buckle like mad until SUDEP walks the plank and begs for mercy. Play now. Rest now. Relax. I may never have the joy in knowing you, but i'm so proud of you. Shine on, Cyndimae.